The Hebrew School of Greater Portland was created with the following goals in mind. To offer all Jewish children, including those with little or no Judaic background - an education and memories that will inspire them for a lifetime. To make Hebrew School the beginning of Jewish learning, not the end. 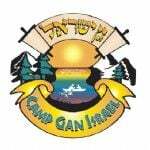 To provide education that will instill pride, a sense of history, love for the land of Israel and a genuine understanding and feelimg of what Judaism is all about.